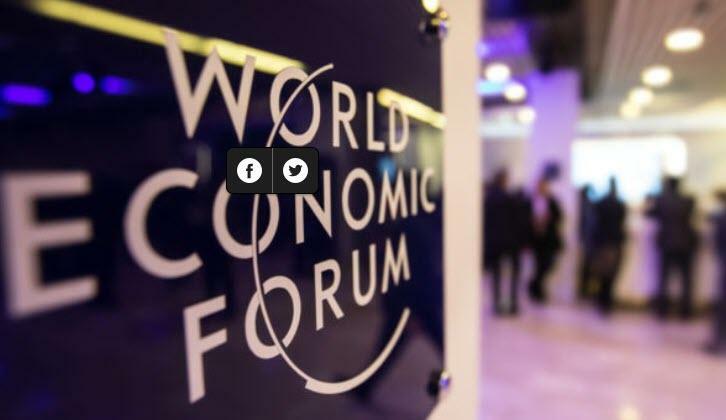 Every year, the powers-that-be join the WEF, select a theme, uniting some 3000 participants ranging from public office holders to private company executives to the few organizations that truly do help fix the world that they mess up. This year’s theme is “Globalization 4.0”, or the digital revolution. The idea being, the potential tech take-over of jobs, and what wealthier countries are doing to lesser developed ones in the process. While the topic might be focused on the future, the present is just as troubling, if not more so, than the future. Such is the disconnect between real people and corporations. 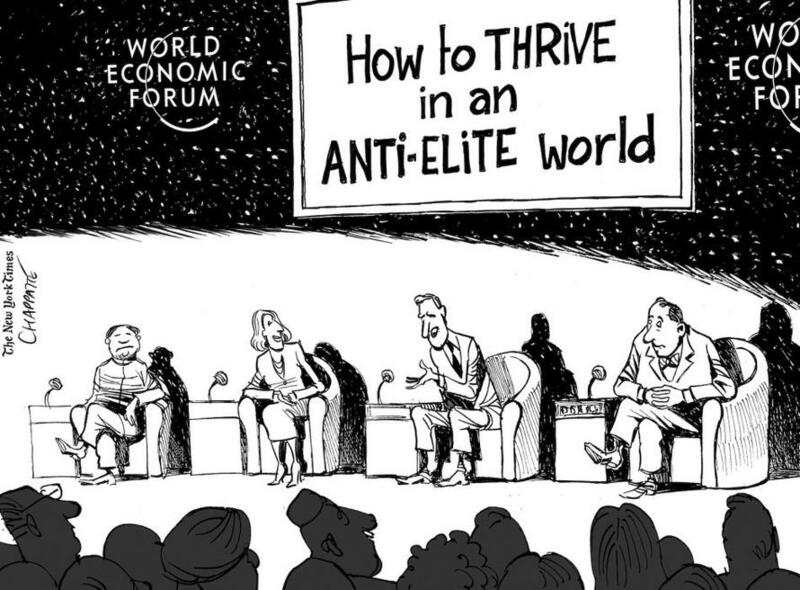 That’s what the estimated 600,000 Swiss Franc membership to be a part of the WEF constellation gets you as a CEO at the Davos table. Government leaders like German Chancellor Angela Merkel, Brazil’s president, Jair Bolsonaro and Chinese Vice President, Wang Qishan are in attendance this week. Business leaders like Microsoft co-founder Bill Gates and JPMorgan Chase CEO, Jamie Dimon will also take part in the festivities. The list of non-attendees includes U.S. President Donald Trump, UK Prime Minister Theresa May and French President, Emmanuel Macron. They are too busy dealing with complex political problems in their own government institutions and domestic home fronts to make the trek. Signs of slowing global economic growth are increasing. We’re seeing that in both smaller emerging market countries and larger, more complex ones. Weaker-than-anticipated data from the U.S., China, Japan and Europe are stoking worries about the worldwide outlook for 2019. Many mainstream outlets are beginning to understand the turmoil ahead. Goldman Sachs, my old firm, is predicting an economic slowdown in the U.S. And the International Monetary Fund (IMF) has revised downward its 2019 U.S. growth prediction to 2.5% from 2.7% from 2018. It believes that the U.S. will be negatively impacted by the economic slowdowns of American trade partners and that the 2020 slowdown could be even “sharper” as a result. The IMF also points to pressure from ongoing trade tensions between the U.S. and China and growing dysfunction between the U.S. and other major trading partners, such as Europe. Because the world’s economies have become increasingly interdependent, problems in one economy can have widespread consequences. We learned this once before: the collapse of U.S.-based investment bank, Lehman Brothers, triggered a greater international banking crisis in 2008. That sort of connectivity has only grown. The reality is that we may now face even greater threats than forecast so far, which could lead to another financial or credit crisis. It is likely that China could be ground zero for a global economic slowdown. Recent dataout of China indicates that much global GDP and trade activity that should normally be in the first quarter (Q1) of 2019 was pulled forward into Q4 2018 to “beat” the tariff increase. It’s likely that the same phenomenon could happen in the U.S. If this trend does snowball, you should expect to see rapidly deteriorating economic numbers arriving in the months ahead. No matter how you slice it, public, corporate and individual debt levels around the world are at historical extremes. Household debt figures from the New York Federal Reserve noted that U.S. household debt (which includes mortgage debt, auto debt and credit card debt) was hovering at around $13.5 trillion. That debt has risen for 17 straight quarters. What is different this time is that current levels are higher than just before the 2008 financial crisis hit. In addition, global debt reached $247 trillion in the first quarter of 2018. By mid-year, the global debt-to-GDP ratio had exceeded 318%. That means every dollar of growth cost more than three dollars of debt to produce. After a decade of low interest rates, courtesy of the Fed and other central banks, the total value of non-financial global debt, both public and private, rose by 60% to hit a record high of $182 trillion. In addition, the quality of that debt has continued to deteriorate. That sets the scene for a riskier environment. Over on Wall Street they are already disguising debt by stuffing smaller riskier, or “leveraged” loans into more complex securities. It’s the same disastrous formula that was applied in the 2008 subprime crisis. Now, landmark institutions like Moody’s Investors Service and S&P Global are finally sounding the alarm on these leveraged loans and the Collateralized Loan Obligations (CLOs) that Wall Street is creating from them. CLO issuance in the U.S. has risen by more than 60% since 2016. Unfortunately, it should come as no surprise that Wall Street is now proposing even looser standards on these risky securities. The idea is that the biggest banks on Wall Street can actively repackage risky leveraged loans into dodgy securities while the music is still playing. If rates do rise, or economic growth deteriorates, so will these loans and the CLOs that contain them, potentially causing a new credit crisis this year. If the music stops, (or investors no longer want to buy the CLOs that Wall Street is selling) look out below. With earnings season now underway, we can expect a lot of gaming of results in contrast to earlier reports and projections. What I learned from my time on Wall Street is that this is a standard dance that happens between financial analysts and corporations. What you should know is that companies will always want to maximize share prices. There are several ways to do that. One way is for companies to buy their own shares, which we saw happen in record numbers recently. This process was aided by the savings from the Trump corporate tax cuts, as well as the artificial stimulus that was provided by the Fed through its easy money strategy. Another way is to reduce earnings expectations, or fake out the markets. That way, even if earnings do fall, they look better than forecast, which gives shares a pop in response. However, that pop can be followed by a fall because of the lower earnings. The third way is to simply do well as a business. In a slowing economic environment, however, that becomes harder to do. Plus, it’s even more difficult in today’s environment of geopolitical uncertainty, as a multitude of key elections take place around the world in the coming months. These three concerns were central in conversation in Davos. Expect global markets to be alert to the comments coming from the Swiss mountain town. Severe dips and further volatility could be ahead as the gloomy rhetoric streams from the Davos gathering. How Will the Fed React? Indeed, Federal Reserve Bank of New York President John Williams, used Chairman Powell’s new buzz phrase, “data dependence,” to indicate that the Fed would be watching the economy more. While he didn’t say it explicitly, it has become largely clear that the markets are determining Fed policy. Based on my own analysis, along with high-level meetings in DC, I see growing reasons to believe the Fed will back off its hawkish policy stance. As we continue to sound the alarm, there are now a myriad of reasons including trade wars, slowing global economic conditions and market volatility. Traders are now assigning only a 15% chance of another rate hike by June. Just three months ago, those odds were 45%. Watch for even more market volatility with upward movements coming from increasingly dovish statements released by the Fed and other central banks. Expect added downward outcomes from state of the global economy along with geo-political pressures.